LG V20 feature a 5.7-inch (2560 x 1440 pixels) Quad HD Quantum display and a 2.1 second (160 x 1040 pixels) screen powered by a quad-core Qualcomm Snapdragon 820 processor coupled with 4GB of RAM and 64GB of internal storage. Dual SIM Device runs on Android 7.0 (Nougat) with LG UX 5.0+. 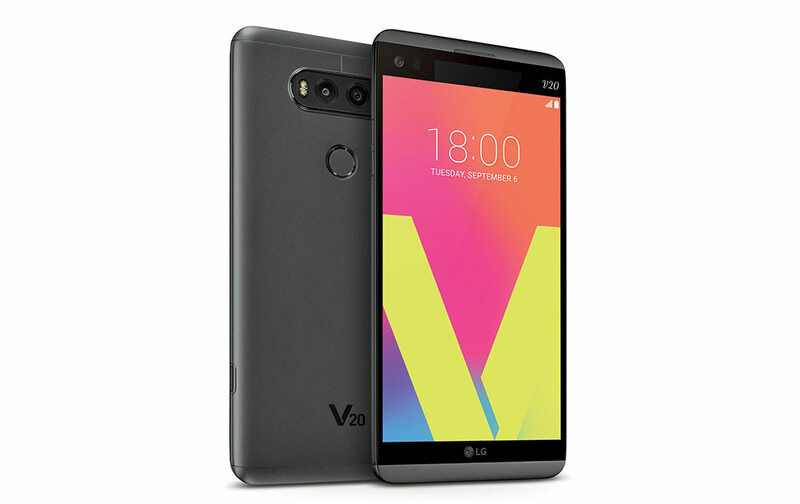 LG V20 has a 16-megapixel rear camera with dual-tone LED flash, 75-degree lens, f/1.8 aperture, OIS and Hybrid Auto Focus (HAF) integrating three AF mechanisms – Laser Detection AF, Phase Detection AF (PDAF) and Contrast AF – for both videos and photos along with a 8-megapixel rear camera with f/2.4 aperture and 135-degree lens for capturing wide shots. It also has a 5-megapixel front-facing camera with a 120-degree wide-angle lens. 'LG V20' is to adjust the distance between the two light, the light coming from the 'Laser Auto Focus, "a lens to focus measure the distance to the subject to be imaged by a laser beam sent handing the two image sensors to fit focus' the phase difference autofocus year ', analyzes the contrast of light entering the image sensor to focus, contrast autofocus' and measured in three ways at the same time focus. It has Hi-Fi Video Recording and uses Low Cut Filter (LCF) that removes unwanted background noise and Limiter (LMT) that sets recording distance. It also captures audio using 24-bit / 48 kHz Linear Pulse Code Modulation (LPCM). It has 32-bit Hi-Fi ESS SABRE ES9218 Quad DAC for a clearer sound by minimizing distortion and ambient noise by up to 50%.It supports lossless music formats including FLAC, DSD, AIFF and ALAC. LG V20 is packed by a 3200mAh removable battery with Quick Charge 3.0.